As Christmas will be here before we know it, our Hostess Tracey, would like to see a shaped card featuring a reindeer or two. No square or rectangular cards please. We are kindly sponsored for this challenge by The Stampman (and Lady of course!) who are ofering the winner a £10 voucher for their store, you can spend this online, in the shop or if you're lucky enough to see them at a show! They have a ton of items in store, enough to tickle any crafty taste bud. I cut my shaped card out on my Cricut using CTMH Art Philosophy cartrige. The image is from Penny Johnson and is coloured with Copics. 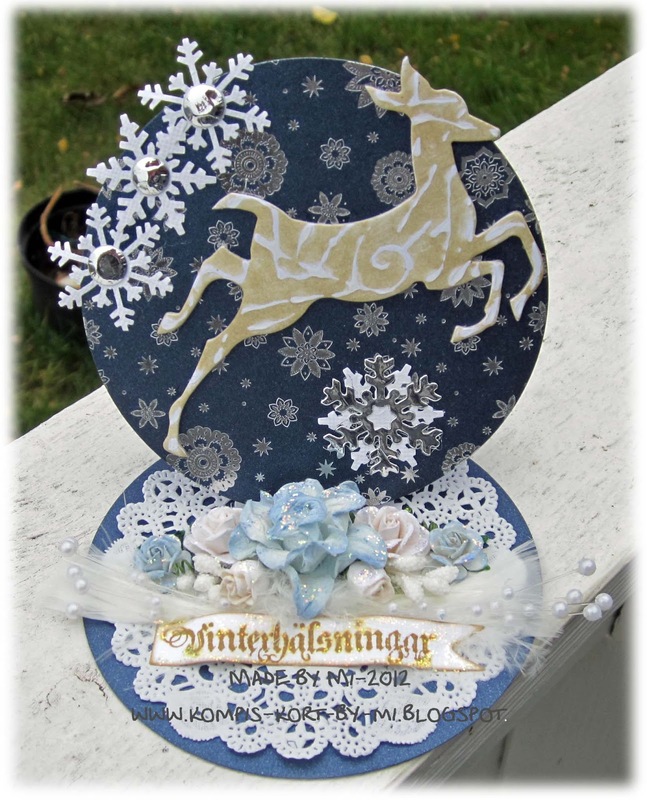 The snowflakes in the image had been embellished with CTMH Silver Glitter Glue. 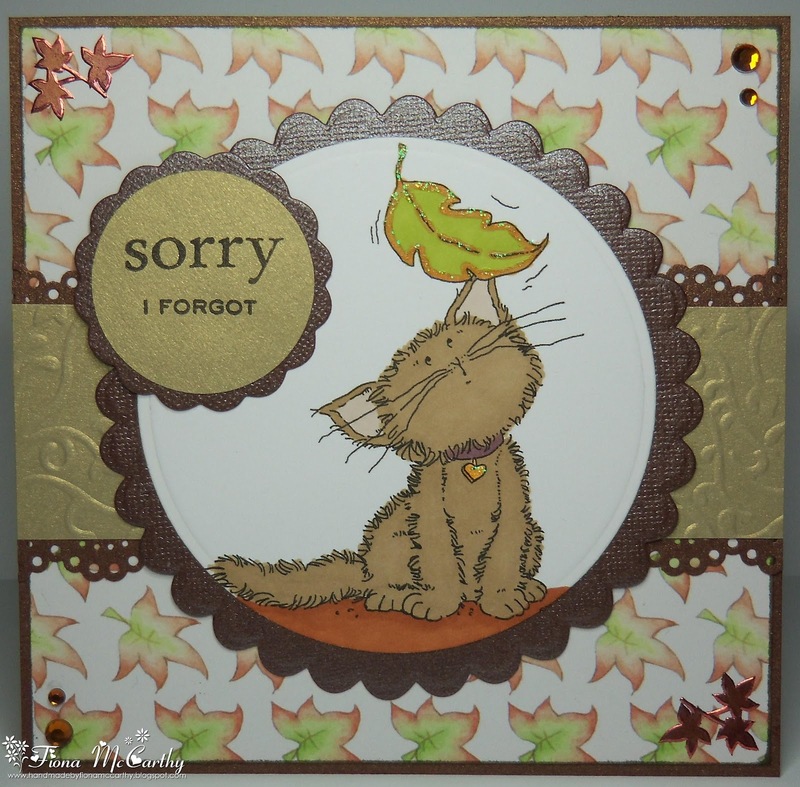 I've used a Whiff of Joy stamp that I was lucky enough to win last year, and coloured the image with Promarkers. I've used some paper from my collection, my Spellbinders Nestibilities and a 'no ink pad needed' stamp for the greeting. I've used Silikon-Stempel stamp & Sizzix die cuts to do the shape; snow flower I've used memory box die cuts The golden box was tied by ribbon which you can put some candies inside. 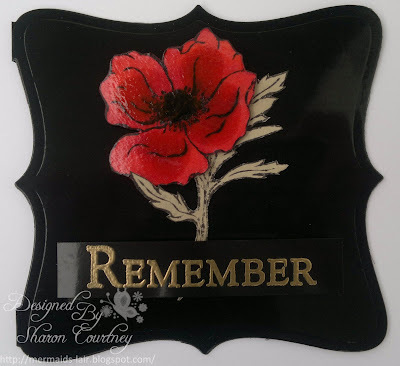 For my tag card I have used a set of Sizzix Framlits dies in two different sizes. 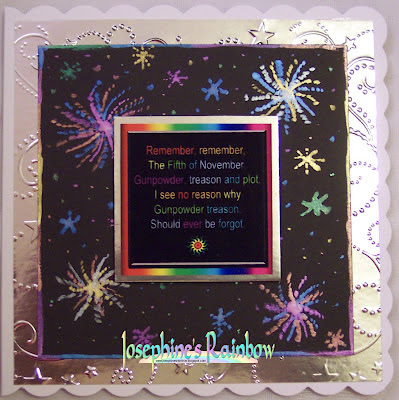 I have accented the shape of the card with a MTF dienamics flourish die cut from gold mirror card. 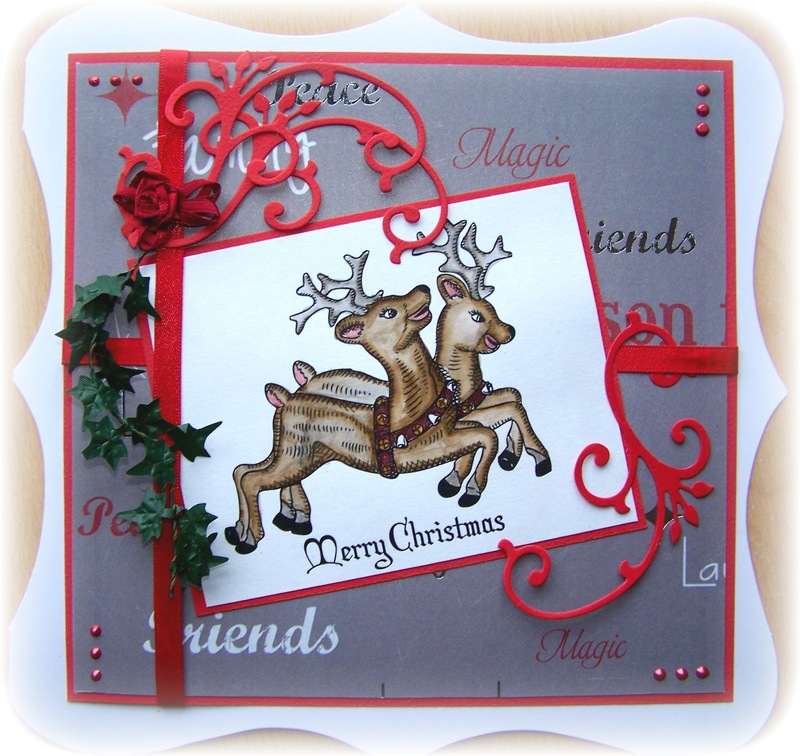 I decided to go with a 'humourous' card with these funny reindeer. A stickled nose gives 'Rudolph' his bling. I cut the 'joy' card base with my Silhouette machine but you could just as easily print out the word from your PC and handcut it. I then inked and stamped with distress ink. 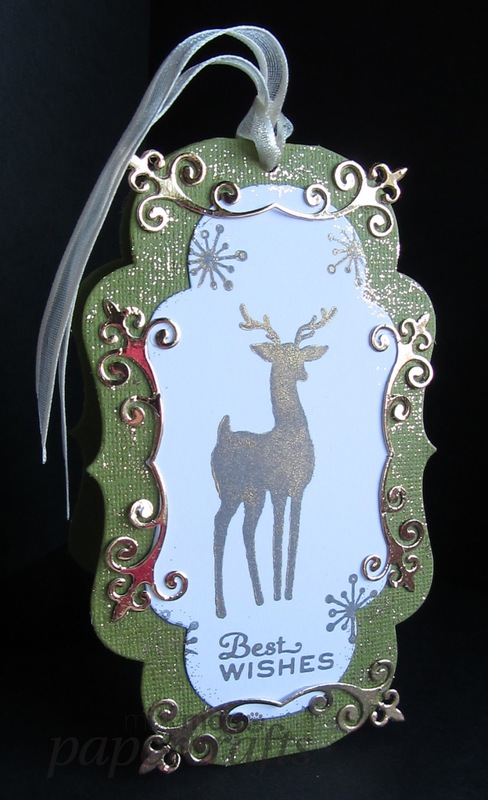 The reindeer diecut and tree stamp are both Tim Holtz. The postal mark is Hero Arts. 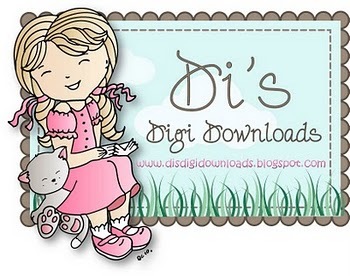 I used DP from Bo Bunny (Blitzen). I cut the heart shape out with a Nestabilities die. I cut the detailed circle and the leaves out with Magnolia dies. I embossed some white card with a polka dot embossing folder and cut the shape out using my Cricut machine. I added lots of glitter using winter white glitter glue. HoHoHo!! 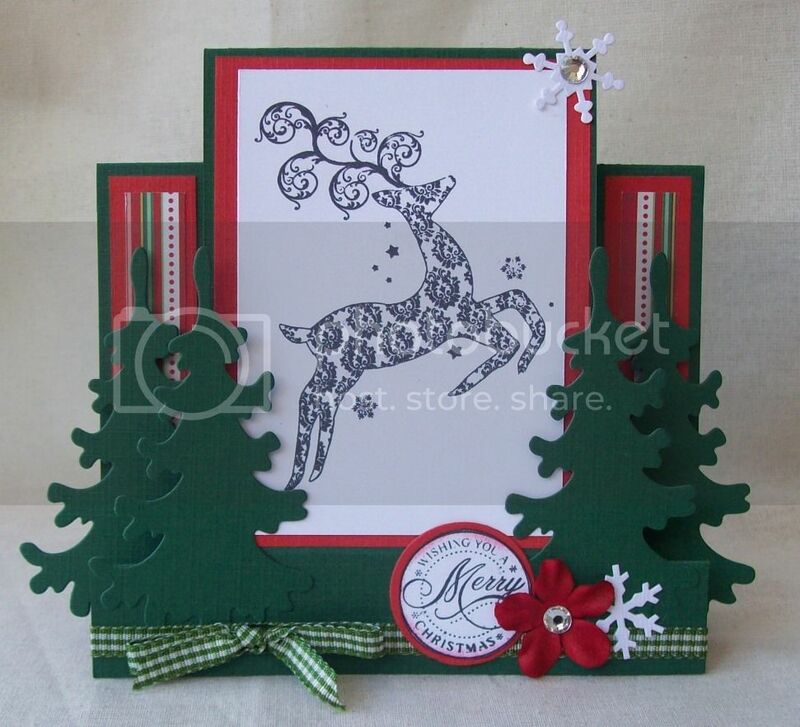 Here is my Reindeer card. 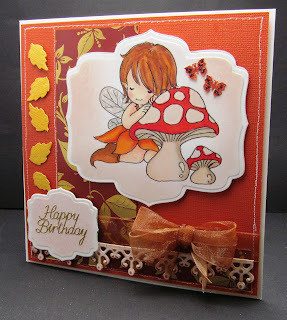 I have used a digi stamp that I have had for years and coloured them in using Tim Holtz Distress Inks. For the backing I found some christmas paper from last year and added red ribbon, red flourish dies, a ribbon rose, red pearls in each corner and some ivy down the side to give my card some texture. 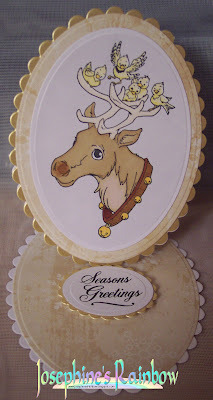 My reindeer are die cuts using the Tim Holtz die. I've used them to make a card with a simple mechanism so that it folds flat for posting but stands up for display. My Reindeer are Spellbinders die cuts, standing in the snow on this simple easel card. I have used free stamps (the larger stamps) from a Craft Magazine, along with some stamps from Kanban, and die cut my card using a nestie die. An embossing folder, Distress Ink, some textured snow and glitter completes the card. 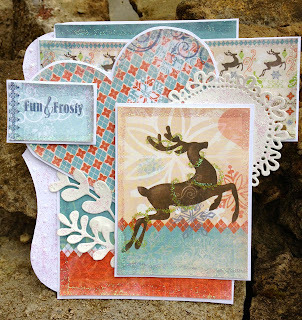 Another T.H rain deer card. Made with some old papers found in a box, both of them are the dark blue shade. Both of them is filled with shimmer and silver snowflakes on the top one. A chilly flower arrangement with flowers from WOC and a sentiment from Maja Design saying "Winter greetings" in Swedish. 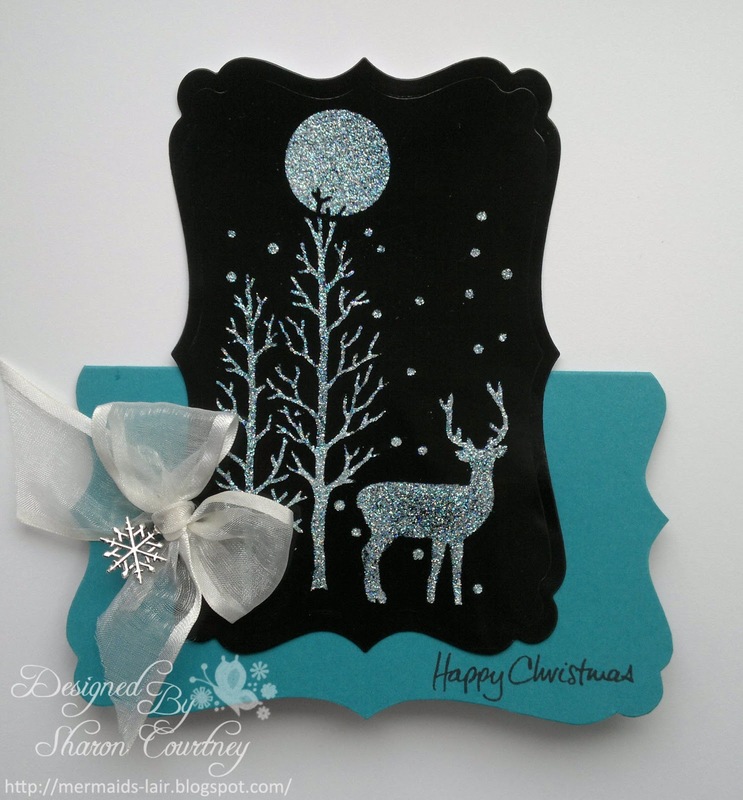 I have used diamond Sparkle Medium and a reindeer mask by Imagination Crafts on glossy black card, cut out with spellbinders and attached to teal card cut with the same die. A bow, snowflake charm and stamped sentiment from Hobby Art completes the card. 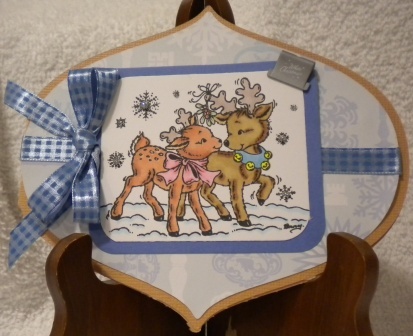 Stair Step Card ...I have used a reindeer stamp from Viva Decor Set and stamped in black.For the 3D look ... four tree diecuts ( Marianne Design ). Embellishments...Ribbon ,Flower & Snowflake die cuts & stamped sentiment from Wild Rose Studio. I am a crafty stash hoarder, and my card this time was made using some of the kits I have previously bought and not used. Mostly kit pieces were used, but I did also use an adirondack ink pad to colour elements. I think you will agree there are some gorgeous reindeer creations here to inspire you! We didn’t have so many entries this time into our Autumn or Autumn Festivals, not Hallowe’en challenge, but I suppose it’s because everyone had created Hallowe’en cards for this time of year. I have to say as a designer on a couple of teams that had Hallowe’en as their theme I was all spooked out by the time I finished looking at the dozens of cards with that theme. Anyhow, onto the winners and top 5 chosen by our lovely hostess Josephine. Congratulations to you all. Would Pooja kindly contact me at the email address in the sidebar to claim her prize. Stating the number and title of the challenge and the prize won in the subject line. We will be back at 12 noon with our new challenge and look forward to seeing you all there. Josephine says 'There are always so many Hallowe'en challenges around! So instead of creating a Hallowe'en card I would like to see something that depicts the season of Autumn, or maybe Harvest Festival, Guy Fawkes, Diwali or some other festival that happens in the Autumn. If your theme is a lesser-known festival, please tell us about it in your post! But remember, this is not a Hallowe'en challenge, any hallowe’en entries will be deleted! I used an image from our sponsor called 'Girl Collecting Chestnuts', and it's got a lovely Autumnal feel. I added a border using an element from the image, and coloured with Promarkers. 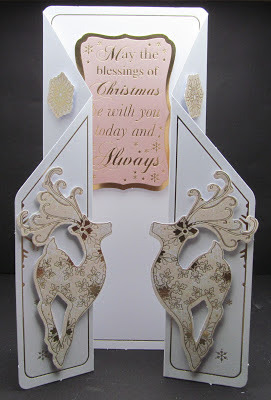 I finished with some paper from Papermania, a die cut from Spellbinders and some sticky gems! 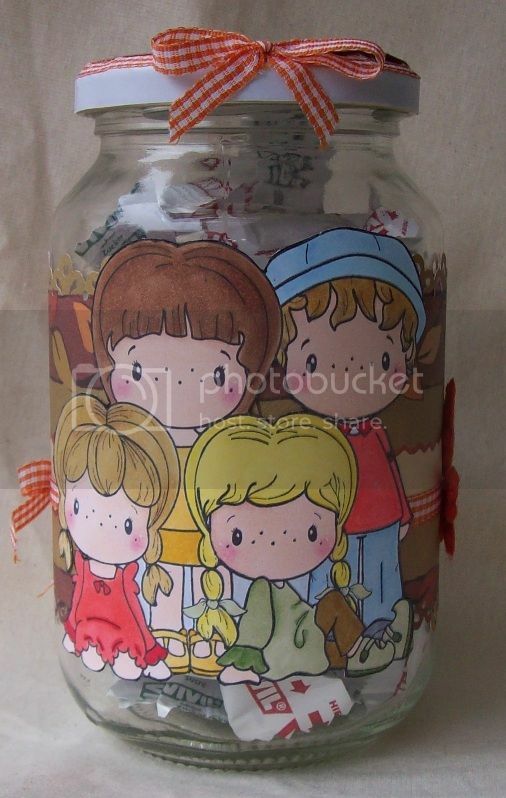 I coloured in the MilkCoffee Stamps' Girl and Chestnut digi stamp using Copic markers and matched her up with My Minds Eye Sweetest Thing Bluebell papers. 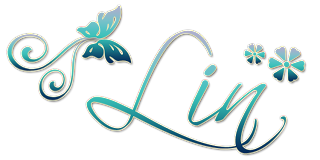 I created some movement by curling up the bunting and sentiment banner. Lastly, I created depth by mounting the image on foam pages and layering the hearts which were die cut from the Lil' Inker Designs Of the Heart die set. 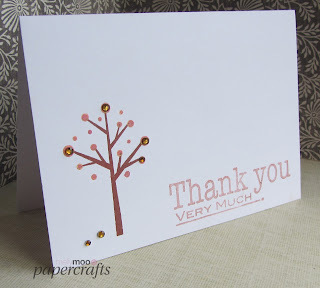 I have used my "Loads of Love" set directly onto Blender Paper and coloured with Stampin' Write Markers. 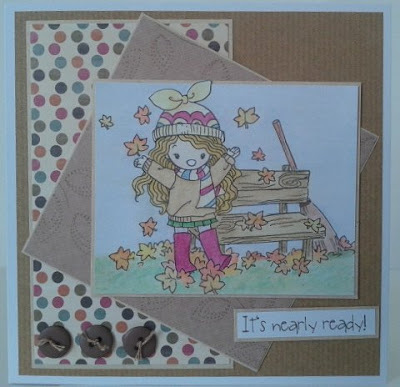 For my Autumn theme card I have used a Mo Manning digi stamp called "Fall" coloured with PM's. My paper is from the Helz Cuppleditch Neighbourwood collection. I've chosen Autumn as my them and for a change my card has minimal stamping. 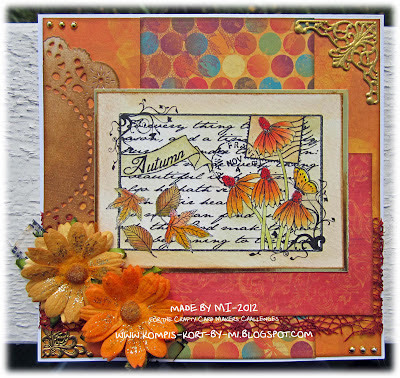 Instead I used my Cuttlebug die to create some autumn leaves in reds, oranges and gold. After all, what says Autumn more than fallen leaves. 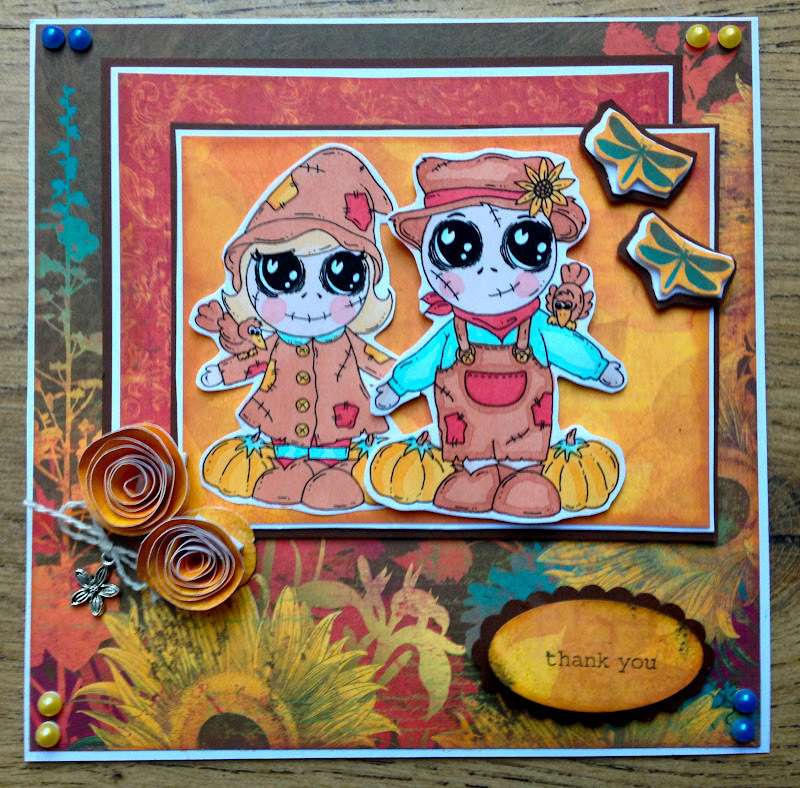 For my CAS Autumn themed card I have used the "build a tree" stamp set from Marion Emberson and a large Woodware thank you sentiment. I've used a palette of coppers and browns to depict the colours of the season and added coordinating amber gems to show the falling leaves. I have made a small hanging for Diwali/Deepavali. No stamping involved. The base is recycled food packaging and I've added a large dangly earring as my focal point. The diya (light) is a colouring in image I found on the web, coloured with metallic promarkers. 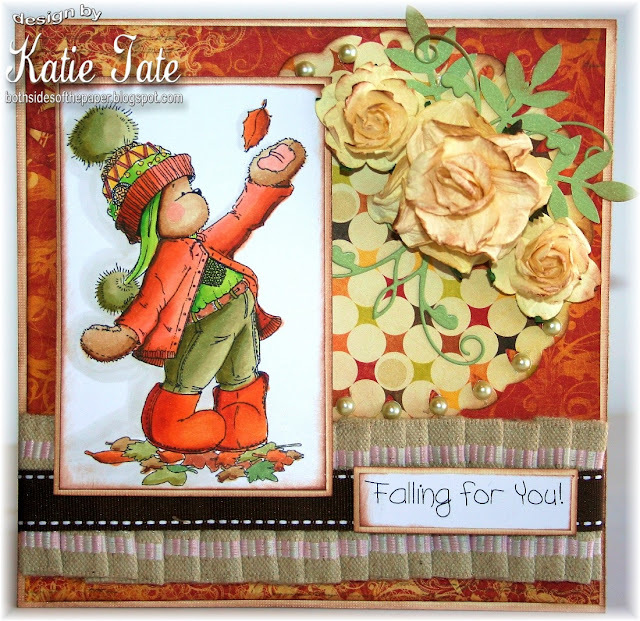 A card made with a digital image from Sweet n Sassy called Autumn collage. It's coloured with distress inks. The designer papers are from Bo Bunny. 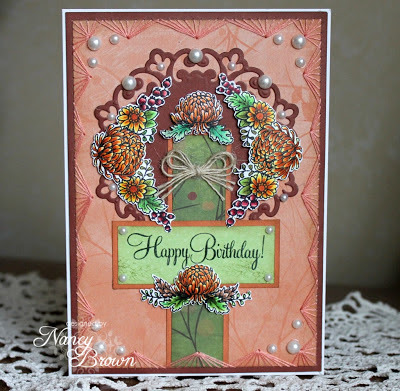 The flowers are coloured with promarkers to match up the rest of the card. For me the autumn/fall is all about the rich warm colours together with some gold. 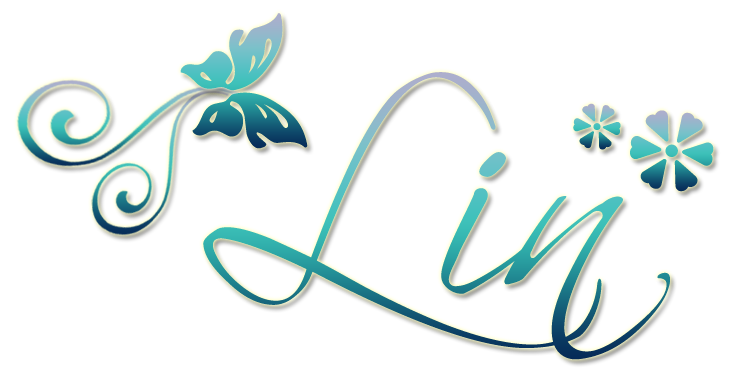 I've used an image from our sponsor, "MilkCoffee", they have a lot of beautiful image, I am glad to have one for this project. This card showing the Mid-Autumn Festival, held in most of the Asian Countries, This year it held on 30/9/2012, most of the families will gathering together enjoy the dinner, after the dinner they ate moon cake as dessert, paying Lantern, that night the moon will round like a circle. 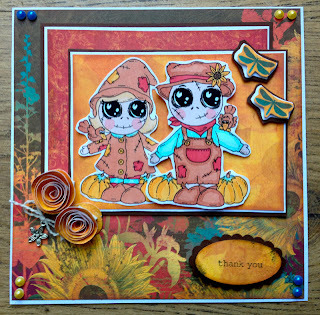 I used two Scarecrow images from Squiggle Stamps. I coloured them in with Pro Markers. The DP is from Bo Bunny. Really love the autumn colours. The sentiment is from Stampin Up. I have made a card for Remembrance Day/Armistice Day which is observed across the Commonwealth countries on November 11th and Remembrance Sunday which is observed as a Religious Festival on the nearest Sunday. I've kept the card simple and dignified to respect this poignant occasion. I've used Sheena Douglass' Paint Fusion Poppy stamped onto watercolour paper, coloured with ProMarkers, then cut out and attached to a glossy black base card. I've made a Thanksgiving Tag using a leaf stamped background, die cut tress and extras from my stash. 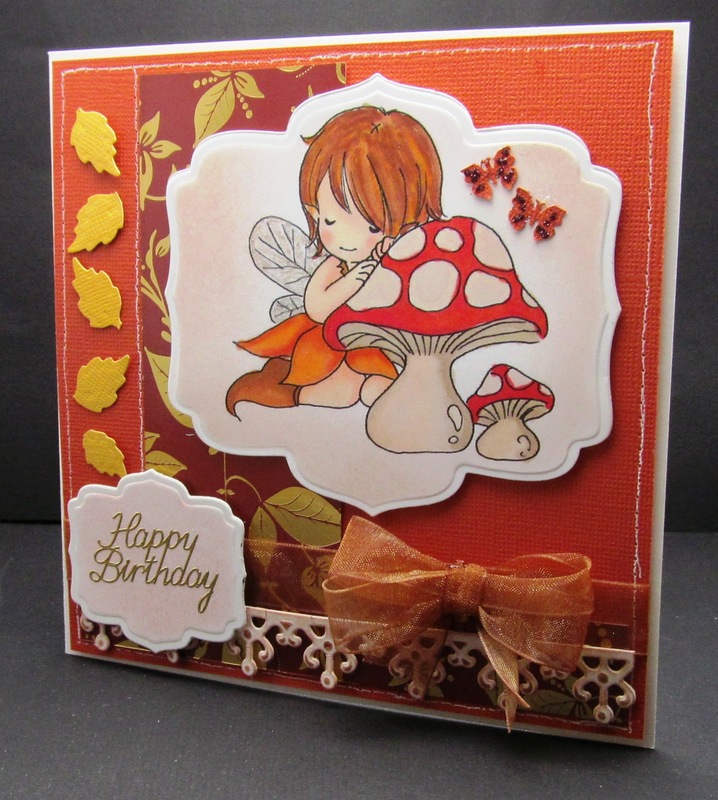 For my Autumn themed card I have used a couple of lovely images by Magnolia coloured using Distress inks. 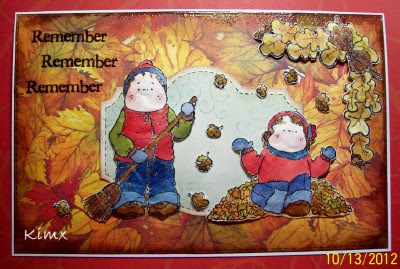 The background paper is from my stash and reminded me of when, as children, we would play in the piles of leaves swept up on the lawn at this time of year. I've made an invitation to a Bonfire Party using an image from our sponsor MilkCoffee. 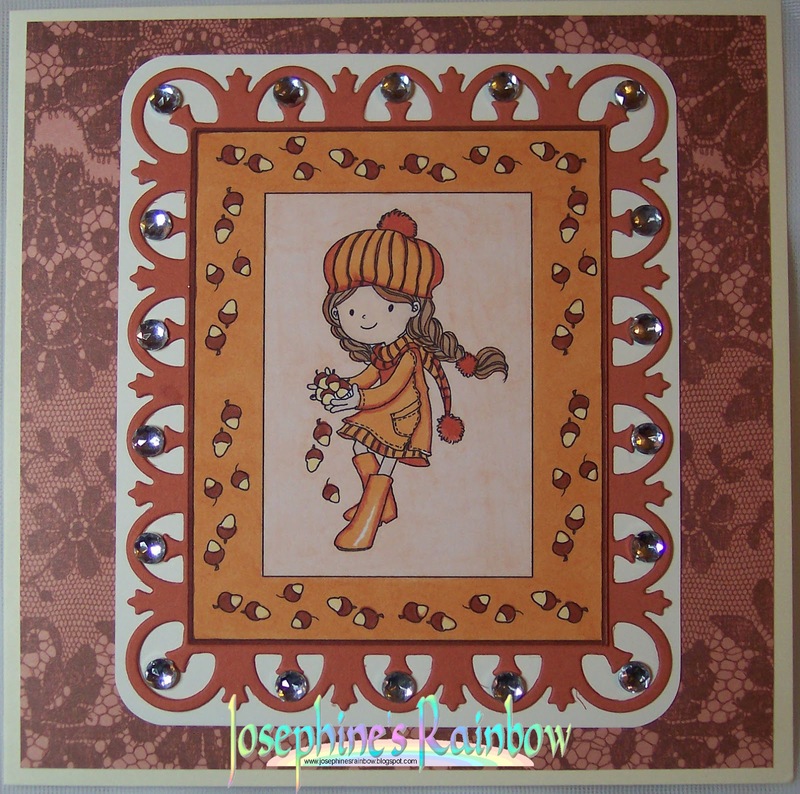 I coloured her with coloured pencils and added an invitation to the inside of the card which you can see on my blog. I have made an anniversary card for my lovely husband. 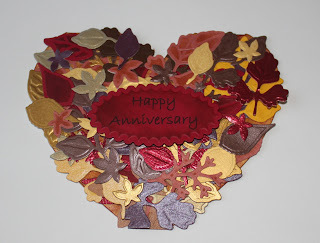 I have used an array of Spellbinders dies to cut out the leaves in gorgeous Autumn colours!! I used Stamped image from C.C. Design ~group~ and colored with alcohol marker. 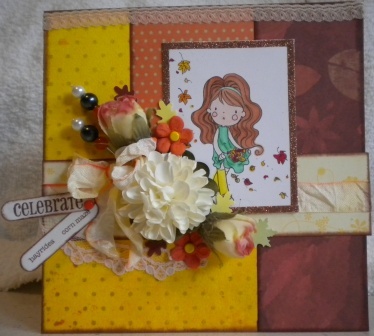 A pretty autumn birthday card, made using an image from our sponsors, promarkers, inks, diecuts and ribbon. 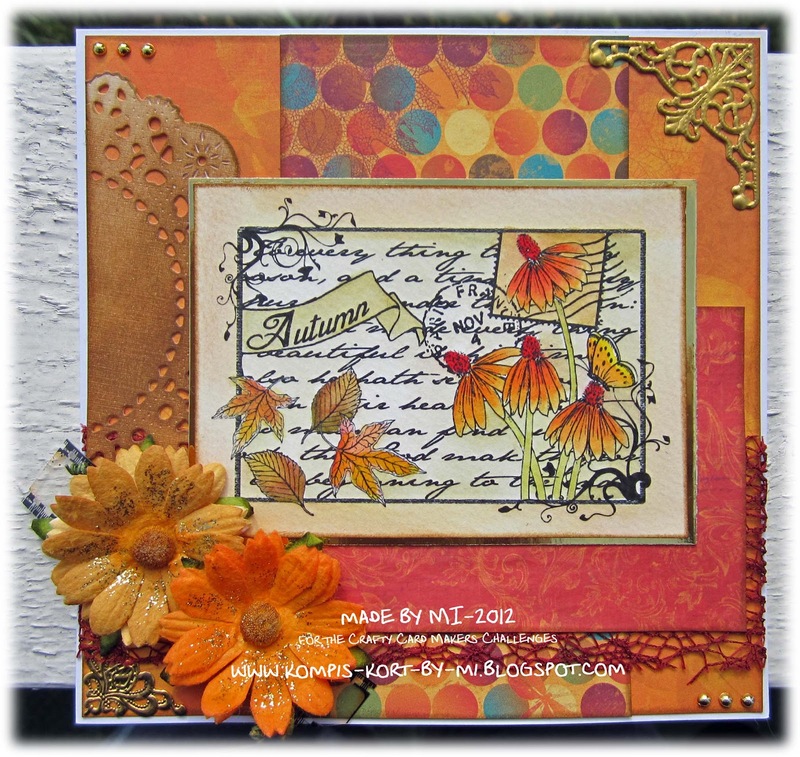 I have used the image 'Lisbeth Autumn Taste' from our sponsor Milk Coffee Stamps. I coloured the image with copics and edged it with Glitter Ritz. The stick pins I added were handmade by me too. All the details are posted on my blog. 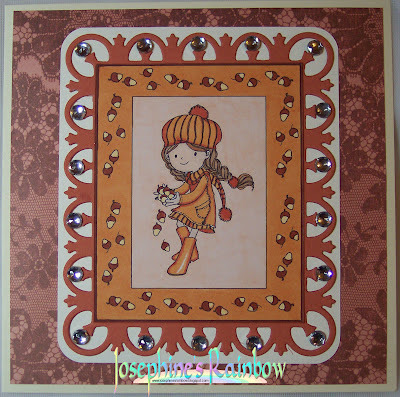 On the above card I have tried to use Autumn colours. 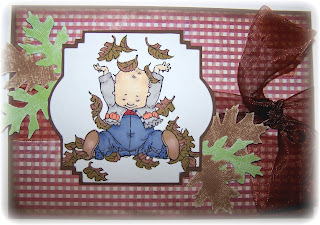 Browns, Greens & Reds.Papers used: Gingham Red from Docrafts and coredinations (Brown & Green)Digital Stamp from Mo Mannings coloured in using Tim Holtz Distress Pens. Brown wide ribbon for decoration.